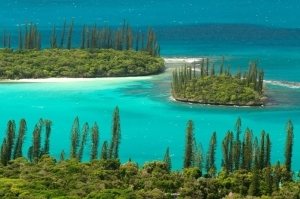 New Caledonia is a French Territory with a mix of Chinese, Vietnamese, American and a variety of Pacific Islanders (Melonesian Kanak) who all call New Caledonia home. One of the attractions to visiting New Caledonia is to experience the French influence and many say that Noumea, the capital, is like a little taste of Paris.Many of the large cruise ships have New Caledonia as part of their itinerary. The beautiful aqua water and the pristine beaches are just some of the reason people are attracted to this part of the world. If you travel to New Caledonia by air you may prefer to cruise around the island with one of the local cruise boats. You could easily spend two weeks seeing these islands and still not have seen everything. The local currency is the Central Pacific Franc and most major credit cards are accepted. 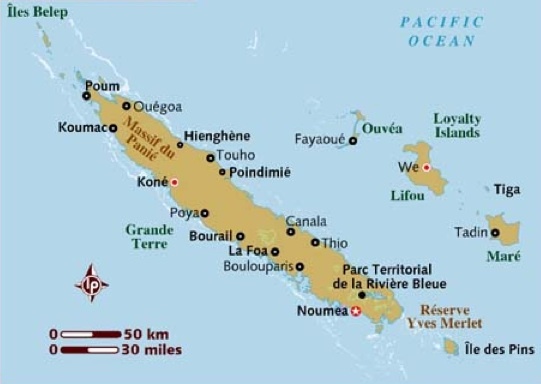 Many people living in New Caledonia are descendants from these original settlers many who came to seek their fortune in the nickel and gold mines. As a tourist the best way to see the city of Noumea is either by using the Shuttle Bus which is an on/off all day pass. Usually about $10-$15 a ticket. Or the yellow Tchou Tchou triain which will get you around the city. Noumea has a lot to offer with many quality French style cafes and restauraunt, delicious French cuisine and wine. 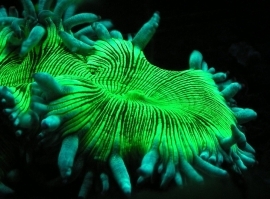 With a close to perfect climate Noumea is situated just north of the tropic of Capricorn. It is usually warm and dry most of the year with afternoon winds to keep humidity low. A taste of the Melanesian Kanak culture is on display as one of the Pacific’s most distinctive architectural landmarks. 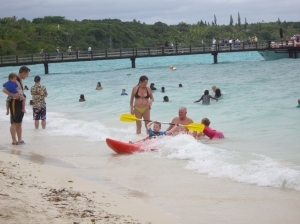 Many of the locals and tourists will be seen enjoying the beach and surrounding areas. The beach area is lined with café’s and restaurants and is often referred to as the French Riviera of the Pacific. Jet skiing, zodiac rides, biking, there is a huge range of adventure activities and tours to choose from. Most shops will close between 12 noon and 2pm however will stay open usually till after 6pm. Please keep in mind that items made from turtle shells, feathers or seeds will not pass quarantine laws in Australia and New Zealand. Shopping in Noumea is quite expensive compared with most destinations in the Pacific. One of the favorite islands for Cruise Ships to visit with its, beautiful beaches and perfect diving spots. 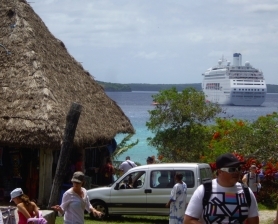 Lifou is part of the Loyalty Islands Group and remains a territory of France. Lifou has one of the most diverse landscapes in the South Pacific Region with limestone caves, white sandy beaches and coral reefs, abundant with a huge variety of brightly coloured marine life.